Jamaica and St. Vincent and the Grenadines (SVG) are located about 1123 miles apart with Jamaica being about 28 times bigger. Jamaica’s population is approximately 2.8 million, while St. Vincent has 109,000 people. With these significant differences in distance, size and population, it is hard to see what these two countries can have in common, except for them both being Caribbean islands. 1. Food: Both countries have their own unique cuisines. Jamaicans love patties and Ackee and salt fish, while Vincentians love fried chicken with bread and a dish called pelau. The foods they have in common, however, are; dumplins, salt fish, cassava bread (called ‘Bammy’ in Jamaica and ‘Bam-Bam’ in St. Vincent) as well as steamed fish and ground provision. Both countries seem to have high consumption of ground provision (Yams, Dasheens, Sweet potatoes). Breadfruit is loved in St. Vincent and forms part of the national dish. 2. The creole: This is probably the biggest surprise on the list, especially given the globally recognized uniqueness of the Jamaican twang. Students from St. Vincent and the Grenadines, however, who study at the UWI Mona campus in Jamaica are shocked at the similarities in the accent between persons from Westmorland in Jamaica and persons from South Rivers, Lowmans Windward and different parts of the Eastern side of St. Vincent. 3. The Music: St. Vincent is soca and calypso, while Jamaica is known for reggae and dancehall. So how is it that music is on this list? Jamaicans who visit St. Vincent often feel at home because more Jamaican music is played in St. Vincent than music originating in St. Vincent (except at Carnival time in June/July). Vincentians (called Vincies) also love Jamaican artistes such as Buju Banton, Jah Cure, Alkaline, Vybz Kartel, Popcaan, Christopher Martin and Chronixx. It’s really great though when a Vincy can hear Kevin Lyttle’s “Turn me on” or a Skinny Fabulous soca song pumping somewhere in Jamaica. 4. History of colonial resistance: The Maroons in Jamaica and the Garifuna in St. Vincent were two of the most powerful forces of resistance against British colonization in the Caribbean. There were Maroon wars. Constant resistance by the Maroons (African slaves who freed themselves) against the English resulted in the signing of peace treaties between both, with the first being on March 1st, 1739, according to the National Library of Jamaica. In St. Vincent, there were the Black Carib Wars. Constant resistance by the Garifuna people (Black Caribs) against the British resulted in a 1773 treaty, granting lands in the north of the island as a reserve for the Caribs, according to The British Empire. Though the Garifuna were eventually subjugated after the death of Chief Joseph Chatoyer and some were exiled, many descendants still remain today in St. Vincent and the resistance enabled St. Vincent to have the shortest period of chattel slavery in the Caribbean (15th paragraph). 5. Terrain: Jamaica is much larger than St. Vincent and has much more flat land. The thing both countries have in common, when it comes to terrain is the mountainous nature of both places. 6. Marijuana: Both countries are known to be growers of good weed, even though a well-known Marijuana tester has said that St. Vincent’s ganja is much more potent than Jamaica’s. 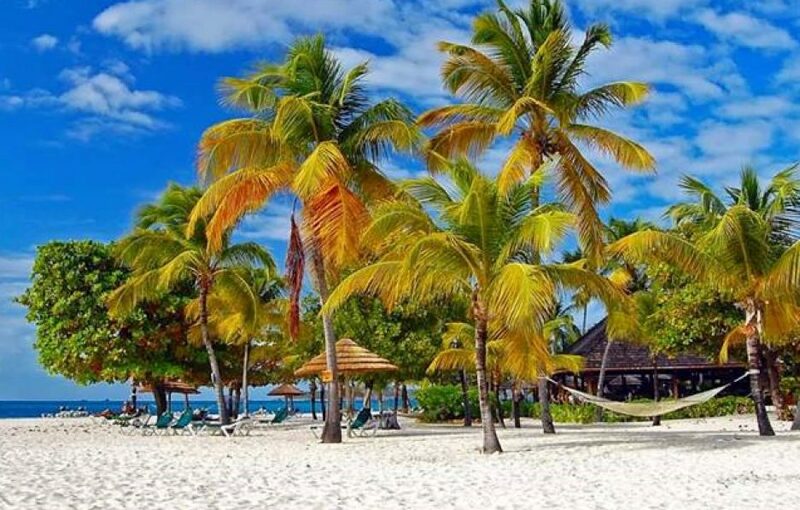 The Land of Wood and Water has taken steps to establish a medical marijuana industry, while the Gem of the Antilles is just moving to establish such an industry. A cross-section of a Marijuana plantation on the slopes of the La Soufriere Volcano in St. Vincent. 7. A cosmopolitan mix of people: The Caribbean itself is a melting pot of many races so this point should not come as a surprise. Both Jamaica and St. Vincent and the Grenadines have a predominantly black population, but mixtures of different countries and ethnicities are present. Many Garifuna and some east Indians, Syrians, Chinese, and Caucasians are found in St. Vincent and so too in Jamaica (with the exception of the Garifuna population). 8. Family ties: Many Vincentians and Jamaicans have married each other over the years creating family ties. Even the current Prime Minister, Dr. Ralph Gonsalves was once married to a Jamaican and so too are many other professionals over the years who studied in Jamaica. St. Vincent’s renowned wedding and events planner – Laurel Dennie of ExquisiteEventSVG (Left) shares a light moment with her happily married clients. There are more similarities, but these ones are the most notable. The contributions to this article were made after consultation with persons from both countries who have been interacting with each other for sometime. Bread and chicken is a big snack in St. Vincent. If you doubt that, you’re not Vincentian. The Language similarities are no surprise, the difference is whereas Jamaicans are proud of their language, we Vincentians are not….sad.